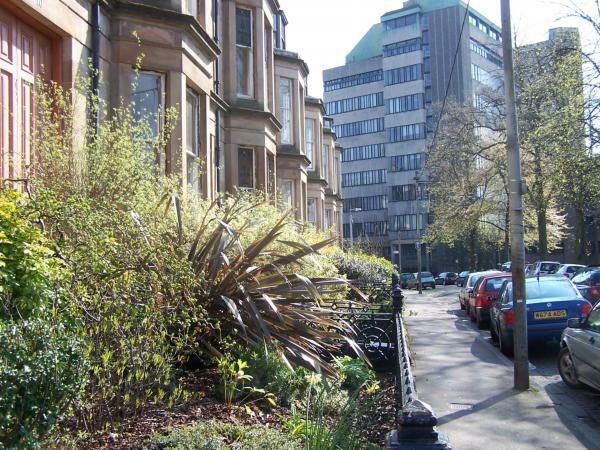 The land now occupied by Glasgow University has been called Gilmorehill as far back as the 17th Century. Successively owned by a series of West Indian Merchants who made their money from the Sugar, Rum, Cotton and Tobacco trades that brought wealth to the city. The land was eventually bought by the College of Glasgow, after a plan to use the land as a necropolis fell through. 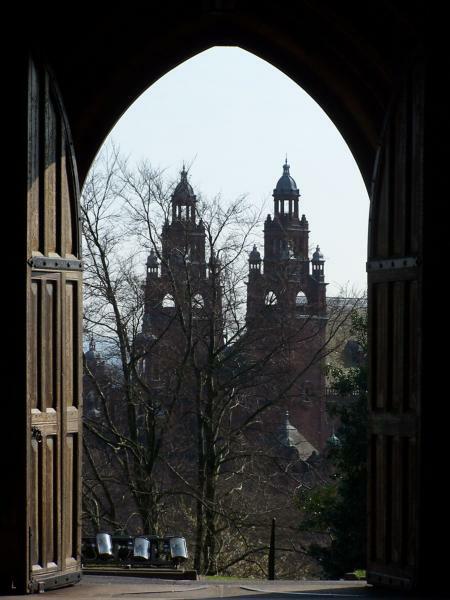 "Via, Veritas, Vita" The motto on Glasgow University’s Coat of Arms means "the Way, the Truth, the Life". This is a Quote from the New Testament of the Bible. 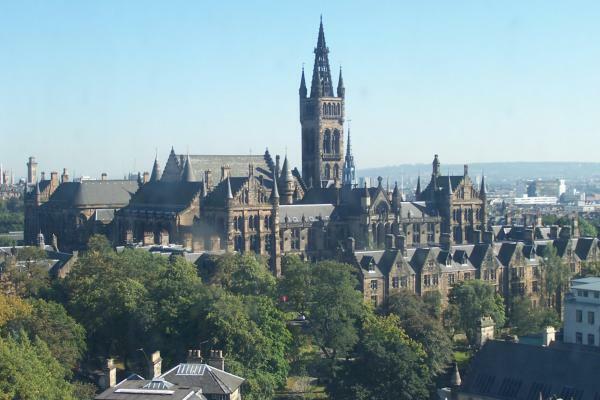 Out of the five and a half or so centuries of its existence the University of Glasgow has only spent just over one hundred years in and around Hillhead. It was late in 1863 the scheme was within sight and by mid 1864 the purchase of the lands of Gilmorehill was completed. The first sod was cut by the Convener of the Senate’s Removal Committee, Professor Allen Thomson on 6th June 1866. 29th July, 1870, was the date of the last meeting of the senate of the old college and the first classes met at Gilmorehill at the beginning of the 1870/71 session. Even though the building would not be finished until 1872 classes still met right up to its completion. With the main building completed much still remained to be done. 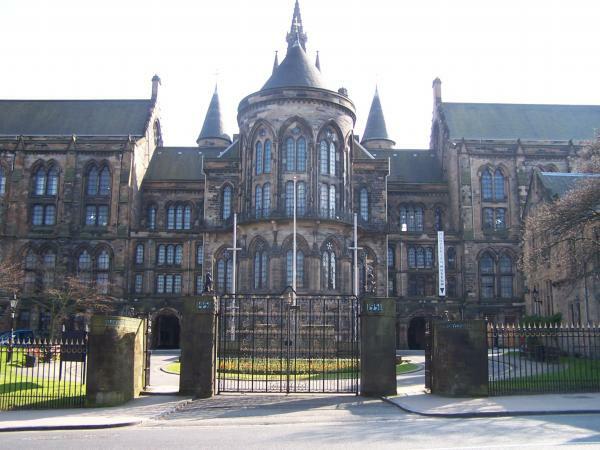 In 1884 Bute and Randolph Halls were built and the infamous spire was added to the supposedly finished main building, which I’m sure many will agree could never be complete without it. The University kept within its Gilmorehill boundary for quite some time but increasing teaching demands had been addressed by the construction of buildings for the study of Botany, Natural Philo­sophy and Medical Sciences in the west and buildings for Engineering, an extension for Chemistry as well as Surgery and anatomy in the north east. Other major building projects, again to meet the increasing teaching and now research demands, going on in Gilmore­hill was a Zoology Building, the west wing of the main building and a University Chapel was also erected. The mid to late 1900’s saw the number of buildings making up the Gilmorehill soar; in 1959 the Modern Languages building was completed in University Gardens, Stevenson Building (1960), Queen Margaret Students Union (1968), Adam Smith Building (1968), Library (1968), Mathematics Building (1969), Boyd Orr Building (1972). On a more recent note the new Medical Building near the start of University Avenue was completed 2002/3. Boyd-Orr Building, University Avenue, 1972 by J L Gleave & Partners. An 11-storey tower of glass and concrete with a few massive lifts capable of taking all the science students to their classes quickly, or for the more athletically inclined there is stairs to all floors! 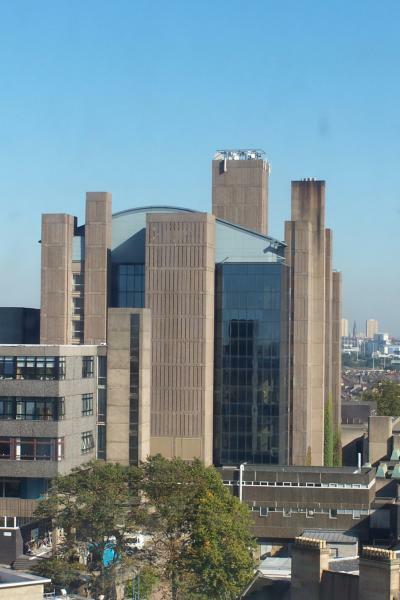 The glass bands of the building denote a lab, whether it be scientific or computing whereas each concrete bulge is a lecture theatre. 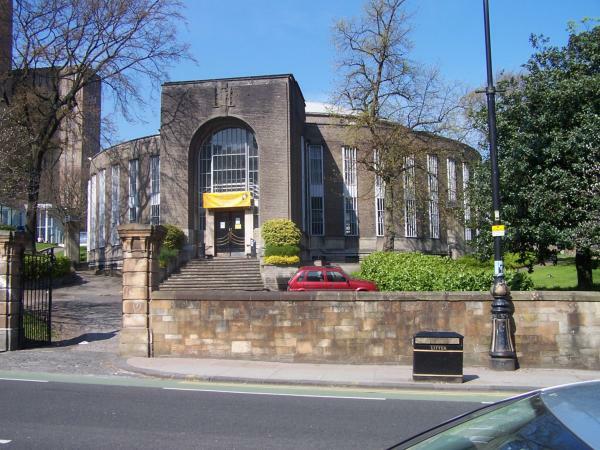 Glasgow University Library, Hillhead Street, 1968, William Whitfield. During the 1960’s spires and turrets were out and so gave way to the domineering presence of the New Library on its hilltop site. Like the Boyd Orr it is 11 storeys high and houses an extensive collection of books, periodicals, theses and a great many antique publications. Hunterian Museum & Kelvin Art Gallery, 1972, William Whitfield. 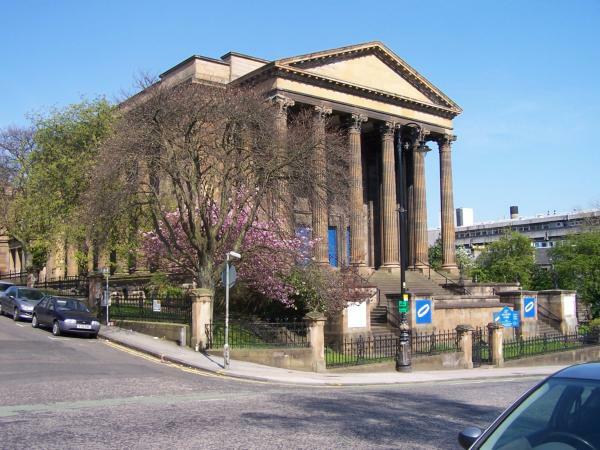 The Hunterian has a wonderful collection of paintings by Whistler, Scottish, Dutch and Realist paintings. Gigantic aluminium doors mark an impressive start to the rest of the gallery with its loft ceilings and soft lighing. Adjacent is the reconstructed interiors of Charles Rennie Mackintosh’s second house at 78 Southpark Avenue, including a fair selection of furniture from their earlier one in Main Street, and also from Windyhill. Reading Room, 1938-9, T Harold Hughes and D S R Waugh. Originally designed as a centrepiece of a larger scheme. I’m sure however many would agree it needs no additions, its domed head atop its rotund body makes it fit into its niche well, in a sort of ‘out-of-place’ way. If it’s now abandoned original scheme went ahead the reading room would not benefit from its difference and would blend in too well with its surroundings and not stand out like the top of a sore thumb, a sore thumb we are all glad to have. Wellington Church, University Avenue, 1883-4, T L Watson.